Book News: Kipling Admitted Plagiarizing 'Promiscuously' : The Two-Way Also: The next Bridget Jones book; and how novelist Donna Tartt came to be missing part of her ear. English poet and novelist Rudyard Kipling poses in 1925. 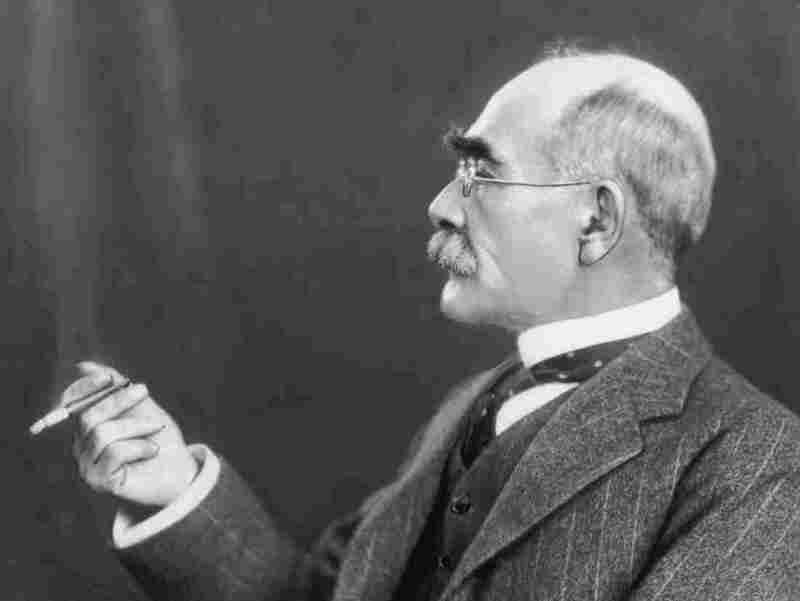 A short letter from the (amply mustachioed, possibly imperialist) English author Rudyard Kipling is up for auction. Addressed to an unknown woman, the letter says, referring to a portion of The Jungle Book, that "a little of it is bodily taken from (Southern) Esquimaux rules for the division of spoils. In fact, it is extremely possible that I have helped myself promiscuously but at present cannot remember from whose stories I have stolen." For the online magazine xoJane, editor/writer Heather Alexander describes accidentally cutting off part of novelist Donna Tartt's ear. The Sportswriter author Richard Ford writes about William Faulkner for The Threepenny Review: "It seems to me now — and it seemed to me in 1979, and also back to 1964, when I read it first — that Absalom, Absalom! ought to be a thousand pages long, so full is it of everything in the world." Knopf announced on Tuesday that the next Bridget Jones novel, out on Oct. 15, will be called Bridget Jones: Mad About the Boy. No word yet on which boy. The New York Times reports that flash sales help sell e-books. What will they discover next ... coupons? For The Paris Review, Christina Thompson writes about reaching for a poem by W.H. Auden for comfort during her mother's illness: "I sat there for I don't know how many hours, drifting in and out of exhaustion and anxiety, and at some point a fragment of poetry came into my mind. 'Lay your sleeping head, my love, / Human on my faithless arm ...' " Thompson is editor of the Harvard Review and author of Come on Shore and We Will Kill and Eat You All. Boston Globe reporters Scott Helman and Jenna Russell will write a book about the Boston Marathon bombings, Dutton announced on Tuesday. According to the press release, "With the resources of The Boston Globe, the book will provide an unprecedented level of detail and insight, including what went on behind-the-scenes as the police and FBI faced several profoundly challenging situations."